A lease may be the smartest way to have a 2014 BMW 5-Series. Look at the numbers for leasing versus buying, and see how it fits your budget. 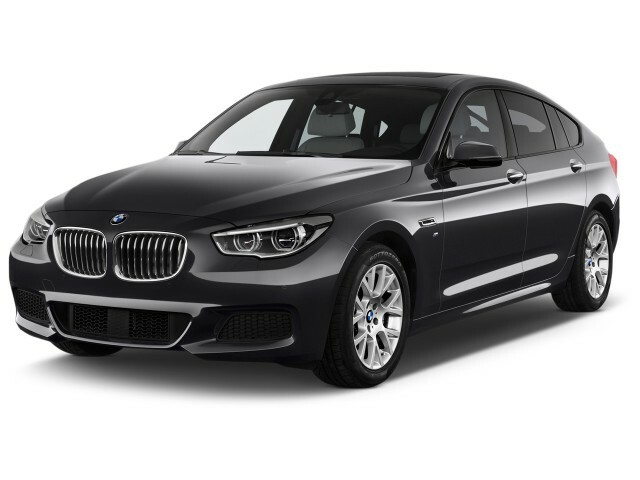 The 2014 BMW 5-Series is simultaneously a classic sport sedan and a technology-packed grand tourer. The BMW 5-Series is the German automaker's mid-size family of vehicles, a regular rival to the likes of the Audi A6, Cadillac CTS, and Mercedes-Benz E-Class. It's been locked in a duel with the E-Class in particular for decades in sedan form, though it too now comes in wagon variants and as the hatchbacked Gran Turismo. That stiff competition has forced BMW in the latest 5-Series to turn back the clock on the bloat that's crept in. It's now more in touch with its roots, with more responsive handling than in the previous version, though it's still longer, heavier, and wider than before. The 5-Series models still deliver the kind of nuanced handling and ride that eludes some mid-size luxosedans--all while earning some impressive fuel efficiency. The look of the latest 5-Series models aren't exactly an about-face, but they steered away from a controversial era in BMW design and brought back the more upright, classic-sport sedan designs that seemed to reach a couple of generations back. The 2014 BMW 5-Series gets some further touches like a more strongly outlined grille, sharper taillamps, and LED headlights as an option across the range. Inside, the 5-Series isn't quite cockpit-like, but it's driver-centered, and we like the pushed-out corners and low, horizontal dash. New Luxury Line and Modern Line trim packages for 2014 help give more visual touches, and interior colors and themes have been revamped. Engine offerings have changed dramatically for the entire BMW lineup over the past several years, and the 5-Series is at the heart of it. 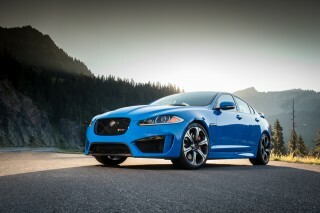 Go with the base 528i and you get a turbocharged four-cylinder engine, making 240 horsepower and 260 pound-feet. 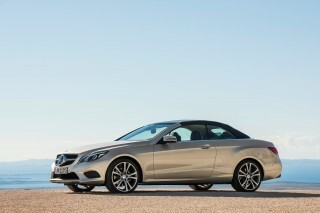 It does the job well, and the excellent eight-speed automatic transmission responds quickly when needed. With the 535i BMW fits a 300-hp turbo-6 with 300 lb-ft of torque, while a new twin-turbocharged V-8 in the 550i makes 445 hp and 480 lb-ft. In the 550i, a new turbocharged V-8 now makes 445 horsepower--45 more than the outgoing model. The 0-60 mph sprint in this model is said to take just 4.5 seconds, which isn't far off the pace of the M5. Manuals tend to be very limited in this class; but driving enthusiasts will find it noteworthy that most of the 5-Series models (except for the ActiveHybrid5, 535d, and xDrive all-wheel-drive versions) can be had with a manual gearbox. Those who want to invest a little more into being (and looking) green have a couple of additional options. The ActiveHybrid5, with a 300-hp turbocharged six-cylinder engine plus a 54-hp electric-motor system and 1.3-kWh lithium-ion battery pack, remains a strong-performing option. There's also a new 2014 BMW 535d diesel model, with a turbocharged 3.0-liter straight-six making 255 horsepower and 413 pound-feet of torque, the latter of which is said to be available from just 1,500 revs. The 5-Series offers a pretty extensive set of integrated electronic features and options governing steering and suspension. Yet with some driving time on a curvy, dynamically demanding road, we think you'll agree that the driving experience feels remarkably connected and direct, and the turbocharged engines that BMW has introduced to the lineup the past several model years are every bit as responsive as their predecessors, if not more so. BMW has sold 5-Series wagons before, but these days it insists the Gran Turismo hatchback is a better way of doing the same chore. 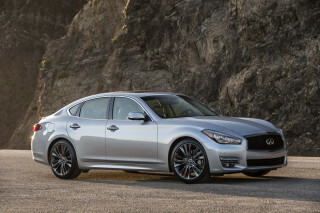 The Gran Turismo blends a tall body with somewhat bulbous lines to blur sedan and crossover into the wagon niche. The Gran Turismo has a nifty split-fold tailgate and high-mounted back seats, but handling and styling are significant hurdles for traditional BMW wagon buyers. On sedans, backseat space remains one of the few weaknesses. The 5-Series offers safety features like an Active Blind Spot Detection system, a Lane Departure Warning system, Xenon Adaptive Headlights with automatic high beams, and a new second-generation night-vision system with pedestrian detection. Occupant safety is great, too, and the 5-Series lineup has earned almost entirely top-tier scores from the Insurance Institute for Highway Safety (IIHS) and federal government. For 2014, a rear-seat entertainment system is also available for the first time. iDrive is also under the spotlight for 2014. Navigation is now included; and this iDrive version 4.2 includes a new interface with a touchpad that should make destination entry faster. There's also new BMW ConnectedDrive technology that offers dictation functions for replying to text messages and a Concierge Service for hotel reservations and other travel tasks. All the classic sport-sedan proportions carry over, but some crisp new detailing dresses up the look a bit more for 2014. BMW reworked the current 5-Series-referred to in close-knit BMW-enthusiast circles by its internal designation, the F10-to be more focused on the driver than the prior F60 version. It shows, with a lean, masculine look that really showcases BMW's best sense for classic sport-sedan proportions. To those BMW fans, it has signaled the brand has ended an era of controversial design, and has moved on to a more straightforward, classic-sport sedan presentation. While that hasn't changed for 2014-neither has the delightful silhouette and near-perfect stance, thankfully-BMW has given the 5-Series lineup a more 'up front' face, with new lines around the familiar kidney grille, plus a more aggressive-looking lower air intake below. There's also a more dramatic taillamp design, and xenon adaptive headlamps are standard with LED headlamps optional. Also, side indicator lights are now integrated into the exterior mirrors . Inside, there are better coordinated exterior trims, and a refreshed dash appearance with a new iDrive controller and touch pad. Taking the exterior in with a little more detail, the 5-Series mates a traditional profile with modern details. A strong beltline pulls it all together as it stretches toward the back of the car. The BMW kidney grille sits lower than before, and the changes for 2014 push it visually, if not physically, outward. It's definitely at its most glamorous when flanked by the LED headlamps. With its somewhat curvy hood, swooping-upward taillamp design, and flowing contour lines alongside, the 5-Series very much fits in with the rest of the current 5-Series lineup.The 5-Series makes the most of its ample interior space with a low-set dash and an angled center stack of controls. They add up to a driver-focused cabin that doesn't go full fighter cockpit, rendered bleak with buttons and inscrutable controls. The wide console and basic-black trim can be livened up with wood or leather, and when they are they accent-and don't overwhelm-the clean, simple design. New for the 5-Series range are the Luxury Line and Modern Line trim packages, which join the existing M Sport package. They include more visual touches including unique treatments for items such as the grille and wheels. The level of onboard technology could seem overwhelming to some enthusiasts, yet the 2014 BMW 5-Series is still responsive and athletic. Looking at the features and options for the 2014 BMW 5-Series might be cause for concern: With so many performance-related technologies acting on the steering and suspension, how can they all keep the driving enjoyment intact, right? Yet with some driving time on a curvy, dynamically demanding road, we think you'll agree that the 5-Series has a strong, direct driving feel, urged on by responsive turbo engines. Engine offerings have changed dramatically for the entire BMW lineup over the past several years. Today, in the 528i, BMW fits a 2.0-liter turbo-4 with 240 hp and 260 lb-ft of torque. The sound it emits is somewhat agricultural but it does its job well, too. It's also more frugal than the inline-6 it replaced. Peak torque arrives at a low 1,250 rpm, and BMW pairs it with excellent 8-speed automatic shift programming to make the most of the small-displacement engine. The 535i adopts a 3.0-liter, 300-hp turbo-6, while the 550i's twin-turbo V-8 churns out 445 hp and 480 lb-ft, which propels it to 60 mph in just 4.5 seconds, not far off the pace of the M5. The 2014 BMW M5, meanwhile, still makes 560 horsepower, though it's now available with a Competition Package that lifts output to a heady 575 horsepower. 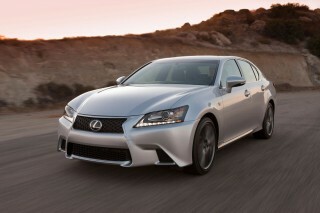 It's available with either a six-speed manual or seven-speed M-DCT dual-clutch transmission. With a 1.3-kwh lithium-ion battery unit, a 54-hp electric motor, and a 300-hp turbo-6, the ActiveHybrid5 remains a strong-performing option for those who want to put give their conspicuous consumption a hall pass. It can scoot to 60 mph in 5.5 seconds, nearly as quickly as the 535i. 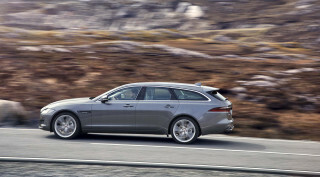 As for the diesel, it's a turbocharged 3.0-liter straight-six and will be appearing in a 535d sedan only. Estimated performance from this engine is 255 horsepower and 413 pound-feet of torque, the latter of which is said to be available from just 1,500 revs. Manuals tend to be very limited in this class; most 5-Series cars (except for the ActiveHybrid5, 535d, and xDrive all-wheel-drive versions) can be ordered with a manual transmission. 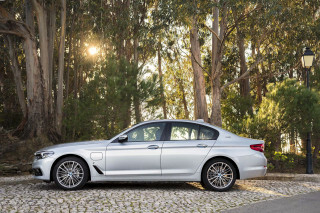 Every 5-Series has driver-selectable Driving Dynamics Control. It can tune the car's various systems-throttle response, steering weight, even adaptive damping-to give it a broad range of on-the-road personalities. Leave it in the new eco mode for fuel efficiency, or dial it up to Sport+ for that all too rare track weekend, and the 5er's electronic brain responds accordingly. It doesn't overwhelm the car, though. Despite all the algorithmic add-ons, the 5-Series still feels like a car enthusiasts should enjoy. Its power steering may be electric, but its feedback is better than in most rivals, and active rear steering can help low-speed maneuvers by moving the rear tires in the opposite direction of the fronts at speed below 35 mph. Some of the intuitive steering feel we prefer goes away, but the setup makes the 5-Series a more tossable machine. The GranTurismo is the way to go for those who need a roomy back seat; but you'll find superb front seats and top-notch refinement throughout the range. The 2014 BMW 5-Series isn't at all surprising in its interior accommodations-and that's mostly a good thing. What you see is what you get, and you can pretty much gauge the overall seating space in this mid-sizer from the outside. Inside, you'll find this luxury sedan to be comfortable, quiet, and fitted with some of the best materials in the business. In many cases, it's just as inviting as the 7-Series' interior-at least compared to the affordable end of that luxury flagship. Front seats are as comfortable and supportive as we’ve come to expect from BMW, with extendable lower cushion supports for taller drivers. Even on base models, they're the kind that you could rack hundreds of miles per day in--even with a problematic back. Backseat space remains one of the few weaknesses. Compare the 5-Series to mainstream models like a Honda Accord, and back-seat space is clearly tighter in this BMW. There's a hard-plastic pocket at the back of the front seats that can compound that feeling of tightness, pushing up against knees; and overall, taller adults are likely to feel a little wedged-in. BMW 5-Series GranTurismo models have a completely different seating arrangement, and they're the exception. With a slightly elevated backseat, lots more legroom, and plenty of headroom (and a great view out), carrying adult passengers is one of the GT's strengths. For 2014, the rearmost section of the GranTurismo has been redesigned, too; with an extended hatch and extended rear, with more squared-off corners, there's now 17.7 cubic feet of cargo space back there-2.1 more than before. 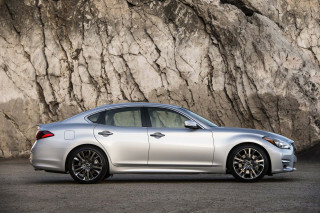 You'll also want to focus in on the GranTurismo if cargo space is critical. While 5-Series sedans come with a reasonably spacious trunk, the GT's two-piece tailgate can be opened and configured in several different ways. Although we think there should be a 5-Series wagon in the U.S. market, it's close-offering some of the benefits of a wagon with a look that's a little...different. Over many drives of the current-generation 5-Series, we haven't found its cabin appointments to be anything but impressive and first-rate. Switchgear feels good-quality and satisfying, while seat upholsteries and trims are plush and uncommon. For 2014, new Luxury Line and Modern Line trim packages add premium Nappa leather trim, while the dash has some subtle trim changes. BMW's iDrive interface still remains the center point of the dash; you'll need it to access many vehicle functions. For 2014, navigation is now included, and alongside a revised controller you get a touch-pad device that recognizes individual characters traced with your finger. Whether you value accident avoidance or occupant protection, the 2014 BMW 5-Series has a very good safety record. Since the changes to the 2014 BMW 5-Series lineup are quite light, and mostly cosmetic, it's likely that this sport sedan will maintain its excellent crash-test ratings. The BMW 5-Series is one of the few luxury sport sedans, in fact, for which full crash-test results have been issued from both U.S. agencies that conduct crash tests. And altogether, they're good, but not perfect. The federal government gives the 5-Series a five-star overall rating, with top five-star ratings in all but frontal impact (four stars). The Insurance Institute for Highway Safety (IIHS) awards it &quot;good&quot; scores in all performed tests, but since they haven't yet tested a 5er in the new small-overlap exercise, it's lost its Top Safety Pick award. These are models that might just give you a better-than-typical chance of avoiding an accident. 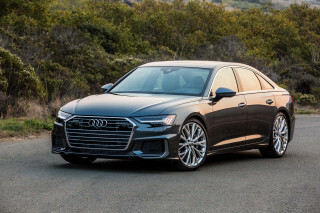 Accurate steering plus one of the best-tuned electronic stability control systems help these sedans be confidence-inspiring when the moment matters. The brakes now have composite front rotors, and electronic aids such as Brake Fade Compensation, Brake Standby, and Brake Drying help performance in certain situations. The 2014 5-Series includes a full array of airbags. Rear side bags are optional, and the 5-Series has a number of high-tech safety extras. An Active Blind Spot Detection system, a Lane Departure Warning system, Xenon Adaptive Headlights with automatic high beams, and a new second-generation night-vision system with pedestrian detection are all available and might further increase safety. The 2014 5-Series models have some of the world's best in-car technology, without forgetting about the traditional luxury that counts. The 2014 BMW 5-Series starts as a luxurious sport sedan, but when well-optioned becomes a tech-rich powerhouse for those who appreciate innovation and advanced active-safety, entertainment, and information features. Standard equipment is strong even on the base 528i. You'll find rain-sensing wipers, power heated mirrors, xenon headlamps, dynamic cruise control, and a dual-zone climate control system all included. On the rest of the lineup, upgrades like softer Dakota leather, dynamic multi-contour front seats, and a hard-drive navigation system put it in line with any luxury rivals-albeit at a slightly higher price. If you have the extra dough, there are so many ways to get that out of your hands; you'll find things like upgraded audio, heated rear seats, a rear sunshade, or one of many available trims and trim packages. Active Blind Spot Detection, a Lane Departure Warning system, Xenon Adaptive Headlights with automatic high beams, Active Cruise Control with Stop-and-Go (capable of bringing the vehicle to a complete stop for up to three seconds before driver input), and a new second-generation night-vision system with pedestrian detection are all among the many tech options. Also available are a sonar parking assistant and advanced backup camera, and there's a new Harman Kardon premium audio option. With either the Sport Package or M Sport Package provide a sport suspension, upgraded wheels and tires, and an M Sport steering wheel, plus other dress-ups and additional features. BMW has also newly introduced Luxury Line and Modern Line appearance packages to the 5-Series for 2014; each includes its own special look, as well as a few exclusive features. iDrive is also under the spotlight for 2014. Navigation is now included; and this iDrive version 4.2 includes a new interface with a touchpad that should make destination entry faster. There's also new BMW ConnectedDrive technology that offers dictation functions for replying to text messages and a Concierge Service for hotel reservations and other travel tasks. The four-cylinder 528i and the diesel 535d offer plenty of fuel-efficient options in the 2014 5-Series lineup. BMW has made such progress with fuel efficiency in just a few model years; and for 2014, the 5-Series does even better-with new, more fuel-efficient turbocharged V-8 engines in the 550i models, as well as, more importantly for green shoppers, the new 535d diesel model. With the new, more economical four-cylinder engine introduced to the lineup last year, the BMW 5-Series is now one of the greenest picks among mid-size sport sedans. Its EPA ratings, of up to 22 mpg city, 34 highway, with the eight-speed automatic, stand out and even compare to the ratings of some far less exciting models. At the middle of the lineup, the 535i is a good compromise for those who want more performance but don't have much tolerance for a guzzler. In general, Gran Turismo models do lose some mileage, due to additional weight and less effective aerodynamics, but you might find the tradeoff in additional practicality worth it. Throughout the lineup, on gasoline models, you get Auto Start/Stop technology, which smartly shuts off the engine at stoplights. And on all models, there's Brake Energy Regeneration and other fuel-saving technologies. Wonderful, with a few caveats. Beautiful and powerful daily driver. My only complaints would be the utterly awful run-flat tires and the fact that changing radio stations via iDrive is a chronic pain. Also the navigation system is in need... Beautiful and powerful daily driver. My only complaints would be the utterly awful run-flat tires and the fact that changing radio stations via iDrive is a chronic pain. Also the navigation system is in need of serious software updates; I'd much prefer a link via Google Maps as Audi has done. MPG around town can be dismal, but I suppose this is the price one pays for fabulous performance in a heavy sedan.